Save yourself the time and frustration over driving to/from the Pearson International Airport. Let Airport Limousine Service handle your transportation needs to and from the airport. Our courteous professional drivers will chauffer you from you home or place of business directly to your departure terminal in the comfort of our luxurious late model limos. You choose your ride... Lincoln, Mercedes, Cadillac, Stretch Limo, 4 person, 6 person, 10 person or even 14 person SUV Stretch Limos! If you've never thought about hiring a limo to get to the airport, or always assumed they were too expensive, read on. They can actually be very cost effective and practical. Check out our affordable flat rate charges for trips to Pearson International Airport. Our Airport Limo Services are available 24 Hrs a day, 7 Days a week, 365 Days of the Year. 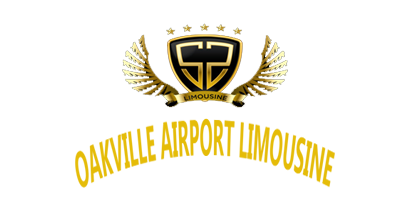 You can reserve your Airport Limo by phone (905-483-4839) or by filling out our online limousine reservation form. We will reply to all e-mails form submissions within 24 hrs. You may also contact us by Email with your questions and inquiries: info@oakvilleairportlimousine.com We also provide limousine services From/To City Center Airport, Union Station , Hamilton Airport, Buffalo Airport and other smaller regional airports in southern Ontario. Please call us to inquire about the rates for all other limo services and vehicles you are interested in. We also provide airport pickup service for your return flight. Please be aware that at times there are no Cabs/Limos available at the Airport and the waiting time can be as long as 1-2 hours. Eliminate the hassle and uncertainty by using our Meet and Greet Airport Pickup Service - We monitor your incoming flight and a pre-arranged Chauffeured Vehicle is waiting for you at the time of your arrival. You need to make a change or cancel your limo reservation. You require service from or to any airport or areas other than those detailed on this limo rate schedule below. Would like information on our rates for all other limo services and limo vehicles you are interested in for your special event or trip.